I can go weeks without getting a single comment, but I got a ton of feedback on yesterday’s post. Better yet, it was some really constructive criticism, particularly toward this variation. So, I looked at all the feedback, adjusted the color, smoothed out some of the rougher details, and gave the little bird an eye. Let me know what you think of the redesign, and feel free leave any more feedback in the comments down below. Nice. Glad you kept the white background. The red white and black gives it kind of a Japanese vibe to me, which I think is pretty cool. 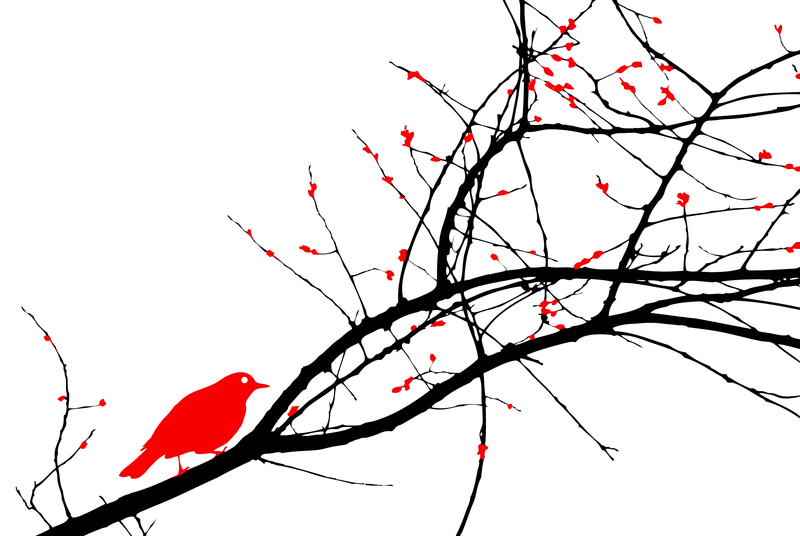 I’m not a huge fan of the red bird, but I like the red on the buds…maybe do one with the bird in black? I actually tried that, but then the bird seems to get lost among the tree branches, and the buds steal focus from the subject.